Wow I've been a bad blogger, good reader but bad blogger. This month has gone so fast! I think I'll plug Jillian, she has survived her 1st full month of pre-school and has done so well. She had her very first field trip to the Prairie Garden pumpkin patch on the big yellow school bus, which she absolutely loved. The look of delight on her face as the bus pulled out of the parking lot was priceless. and a little pumpkin to take home. Of course with Halloween tomorrow Jillian also had her 1st Halloween party. It was a big hit, as we walked home she told me "that was the best party". Too cute. I found the her Snow White costume for dirt cheap, $4 plus $6 for the shoes. With the big day tomorrow the girls are exctied, costumes are ready to go. Halloween assemblies are on scheduled and dances have been planned. Add soem trick-or-treating and all is good. 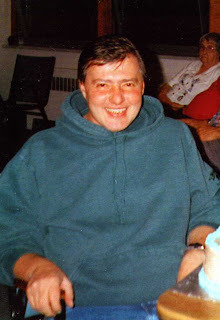 Today is a bittersweet day though, my dad passed 11 years ago. Oh how he loved Halloween. The pumpkin carving, the handing out candy. How he would have loved seeing his grandkids all dressed up. I didn't know you had lost your Dad so long ago. Sorry to hear that. I bet you have great Halloween memories of him! She looks so sweet in her costume! Very cute. It's so great to see when kids get excited over the little things. It really helps me appreciate the everyday even more. :) Happy Halloween.